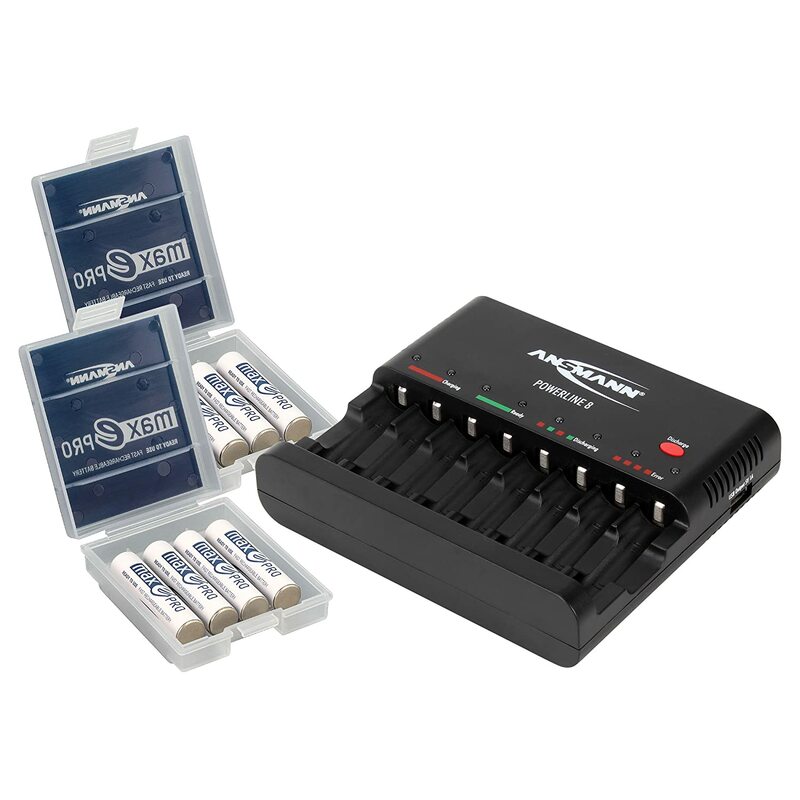 DISCHARGING THE BATTERIES: Discharge "weary" batteries after long storage. 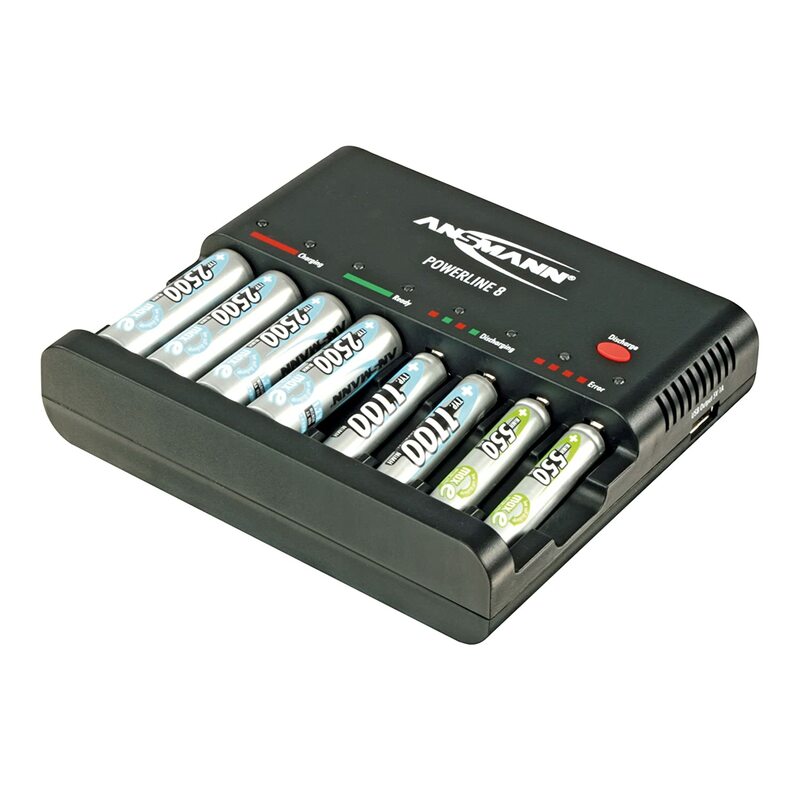 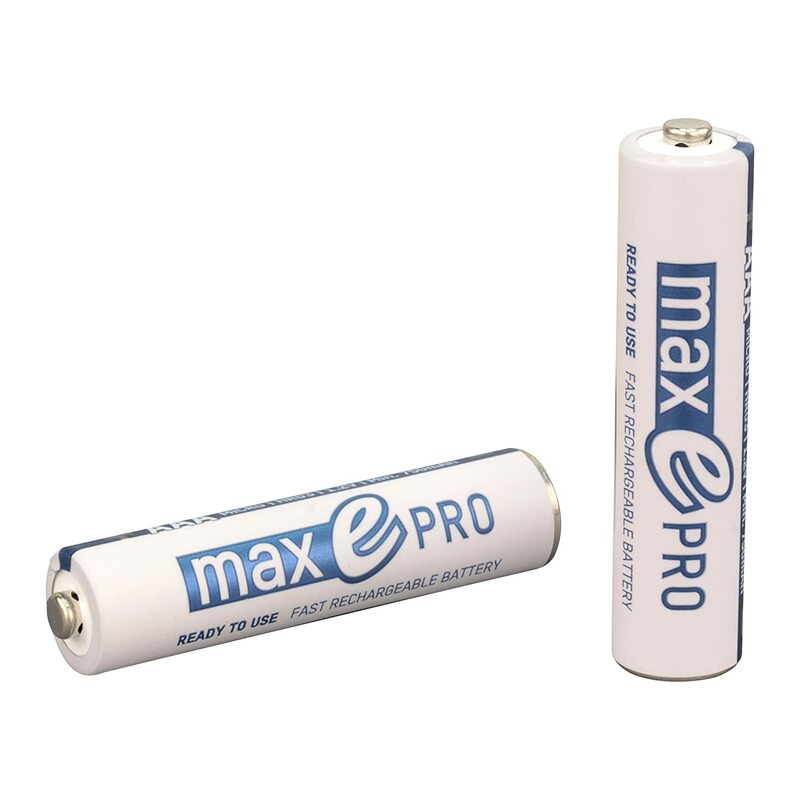 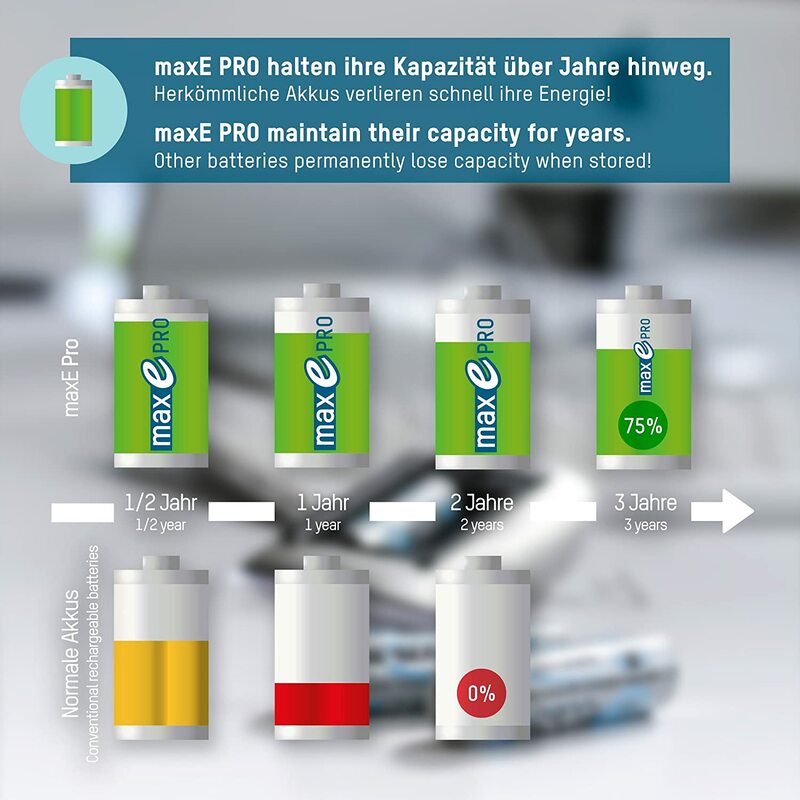 By repeatedly discharging and charging, these batteries can be refreshed and the capacity can be restored. 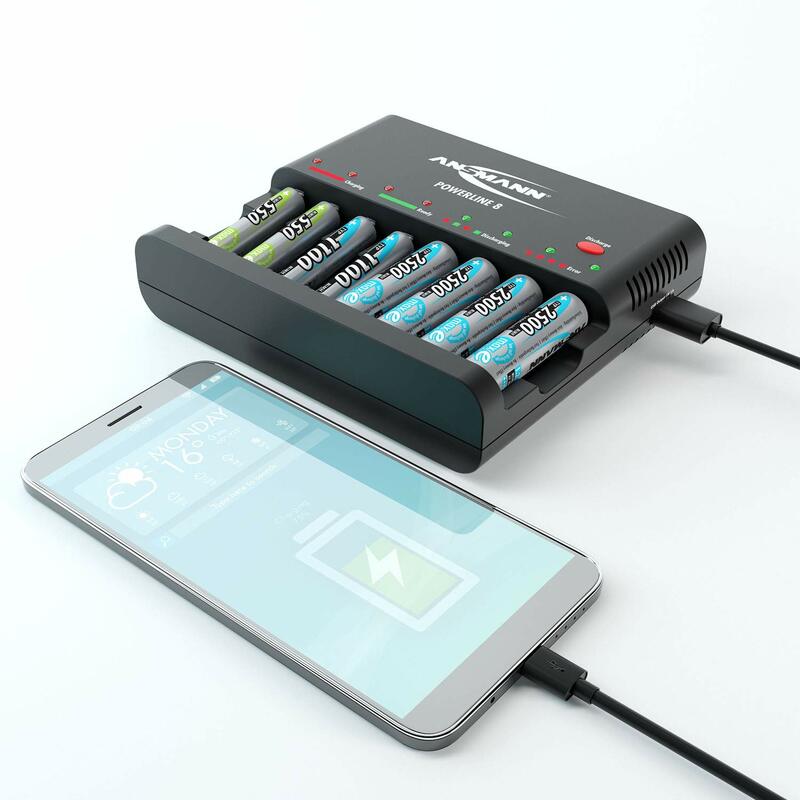 Intelligent charge control once a battery is fully charged, the charging process is automatically stopped and switched to trickle charging (buffer charging with current impulses). 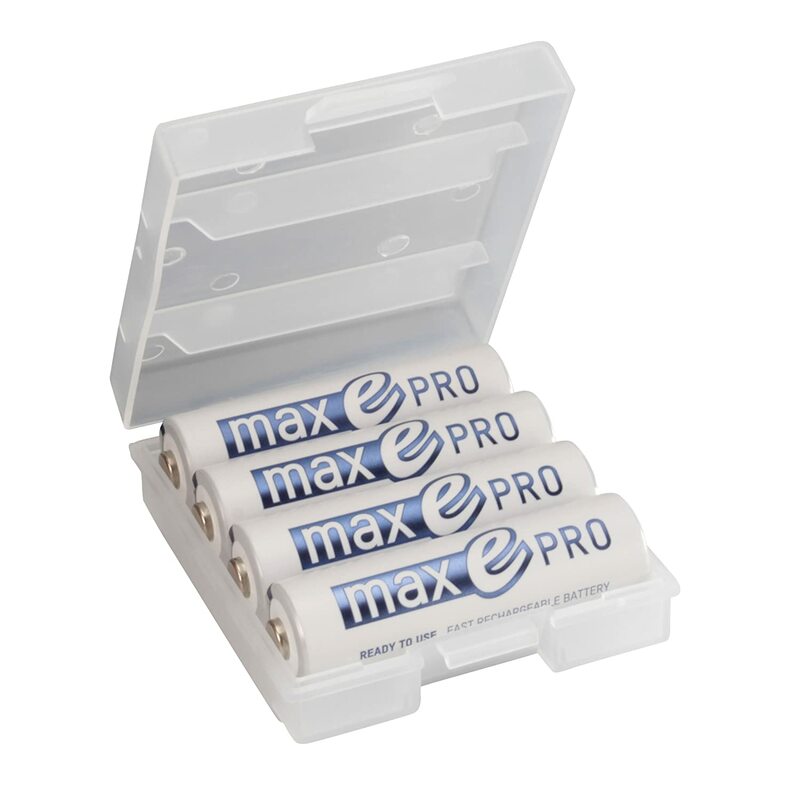 this feature ensures optimum performance and counteracts the self-discharge of the battery. 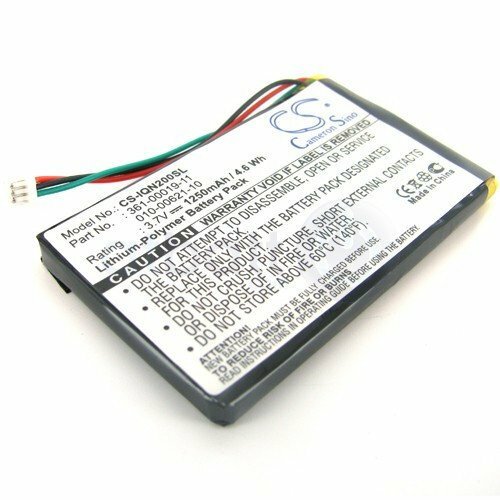 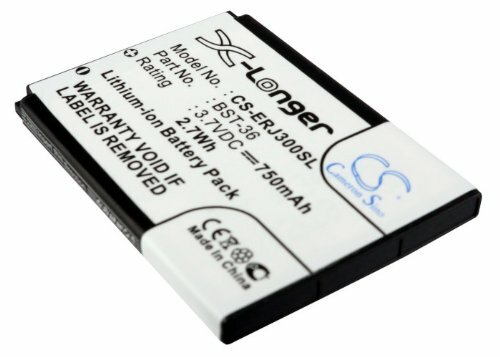 The battery can thus remain in the device until it is used. 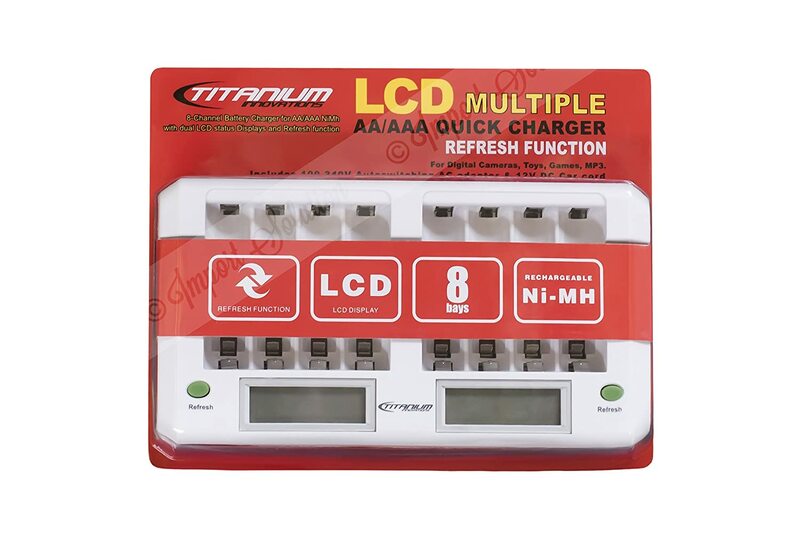 A clearly arranged LED display shows the current program mode for each charging slot separately. 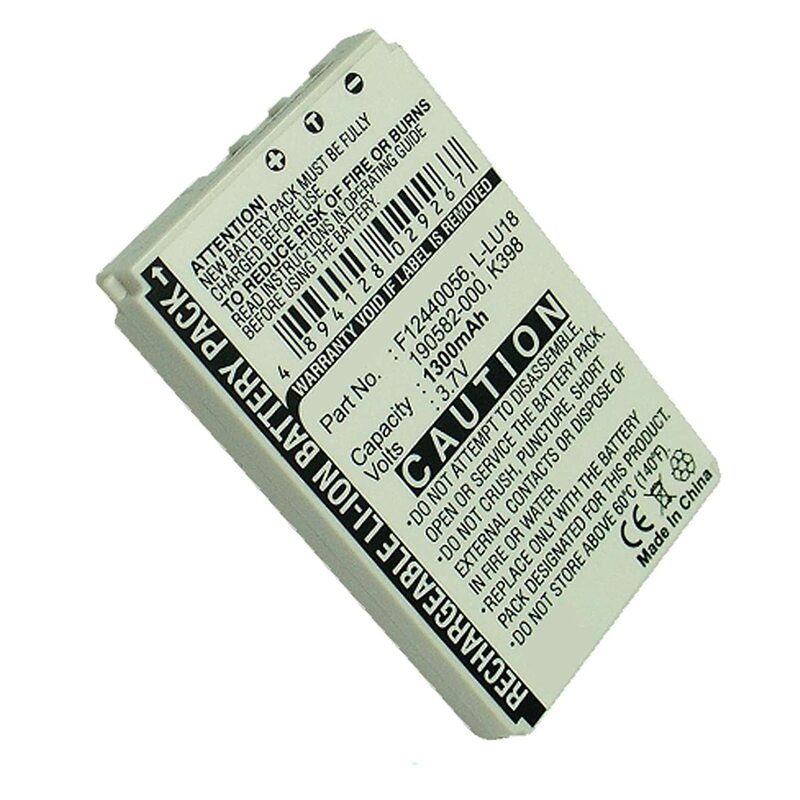 Should a non-rechargeable or defective battery be inserted accidentally, this will be indicated by a flashing Red LED. 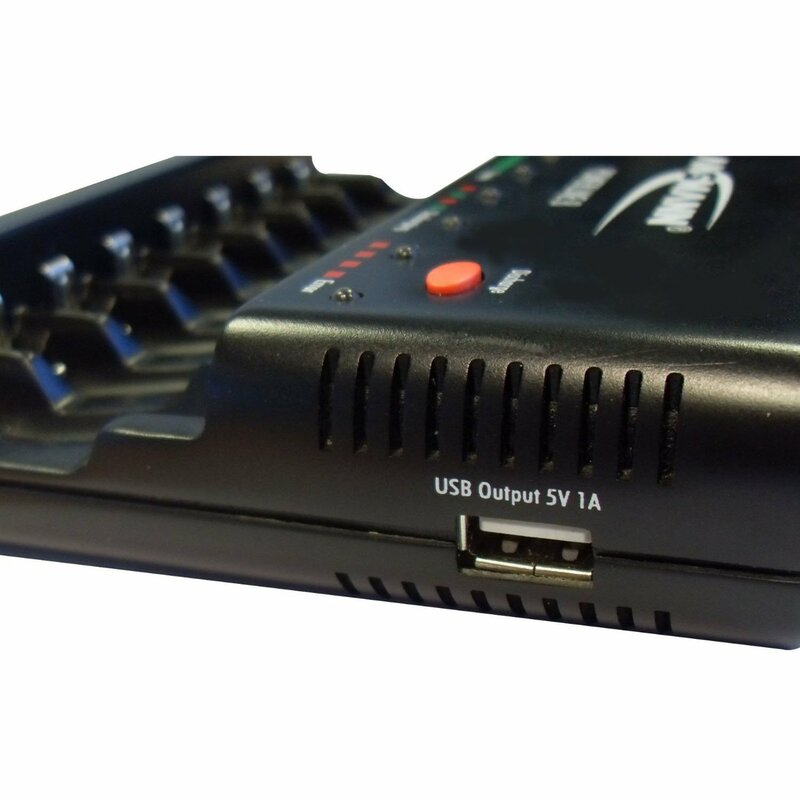 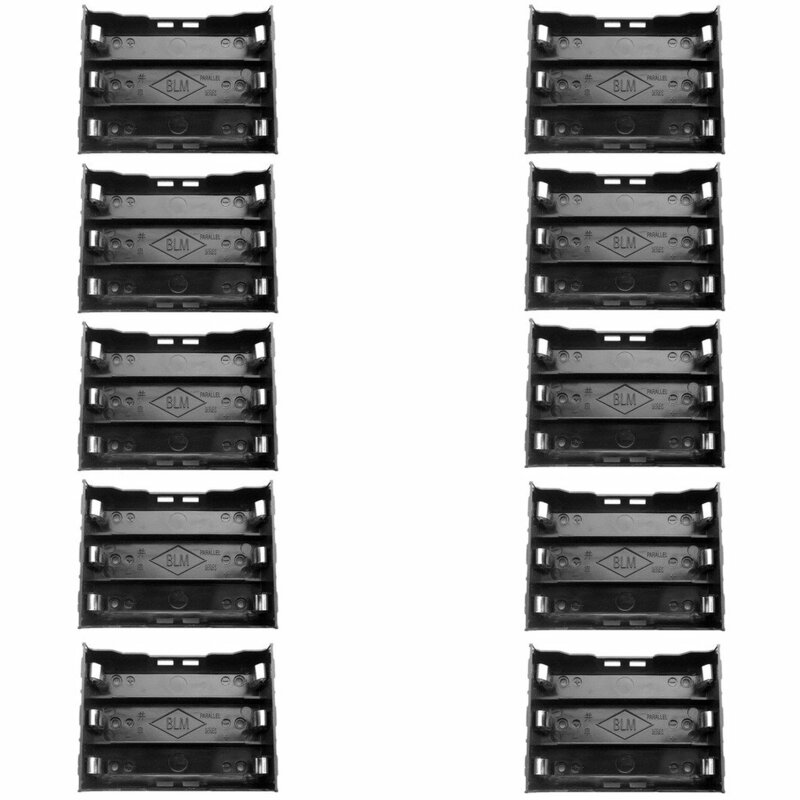 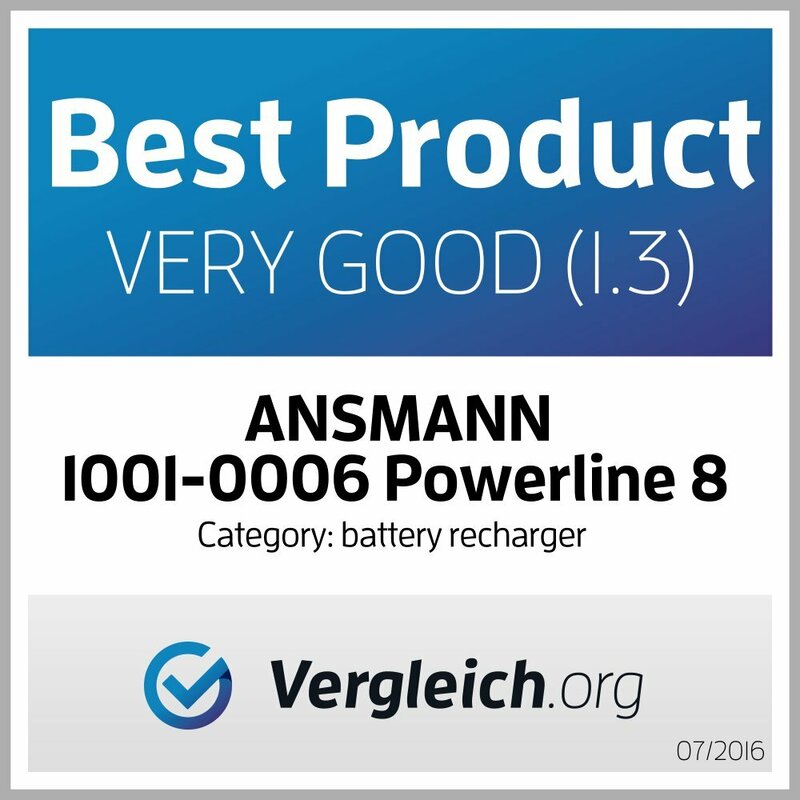 The Powerline 8 is designed for worldwide use. 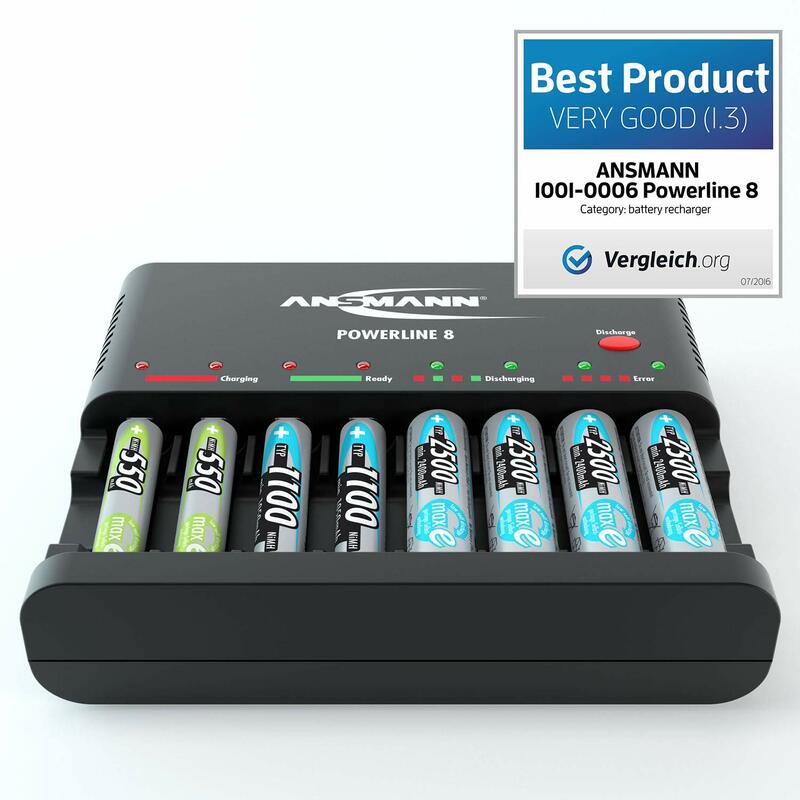 Excellent product- absolutely worth the investment, and not expensive at all when you consider the money saved and the battery waste reduced. 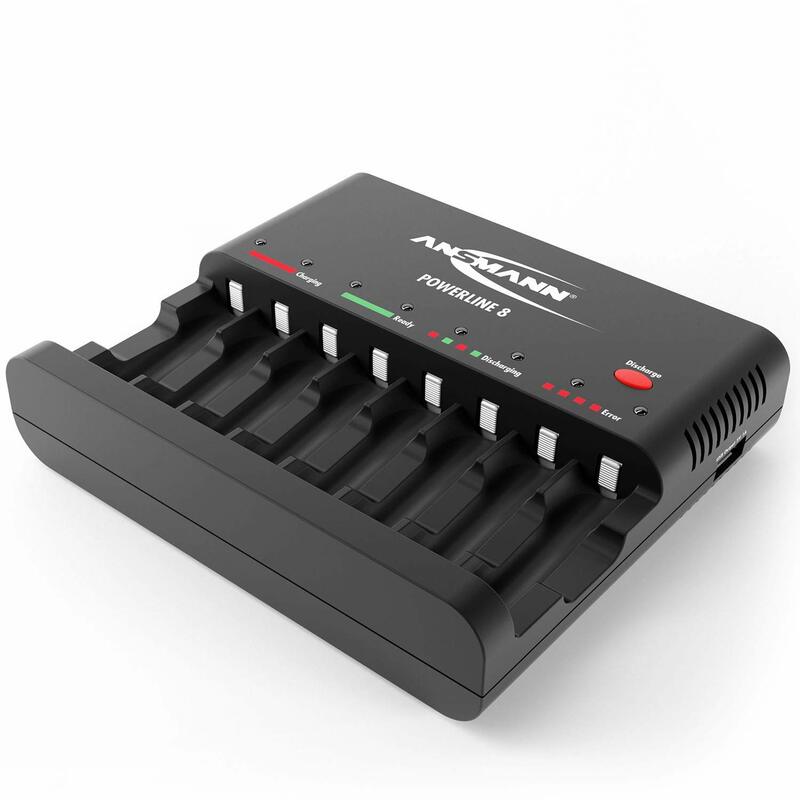 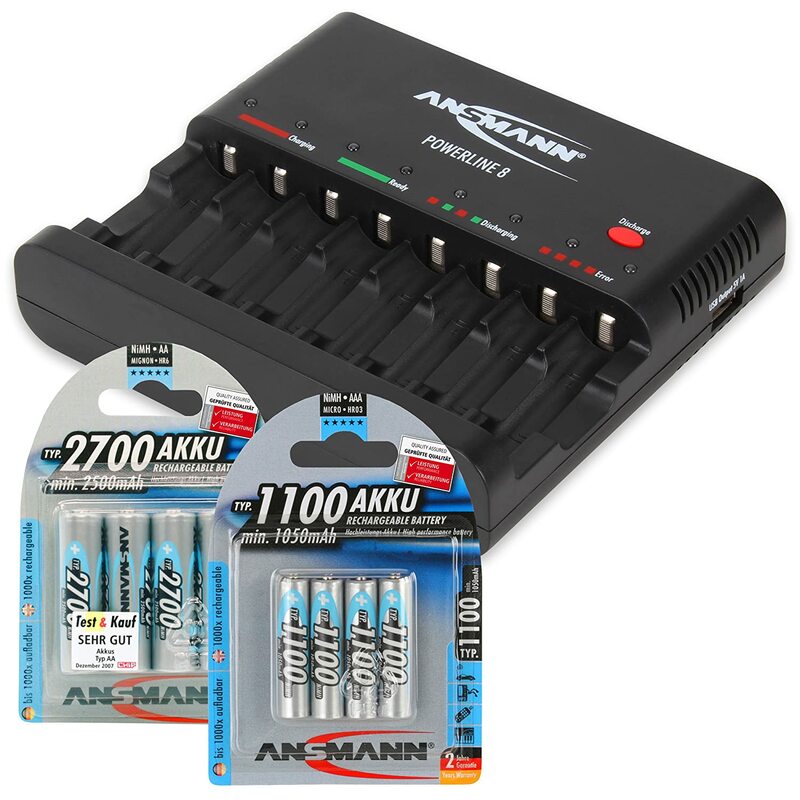 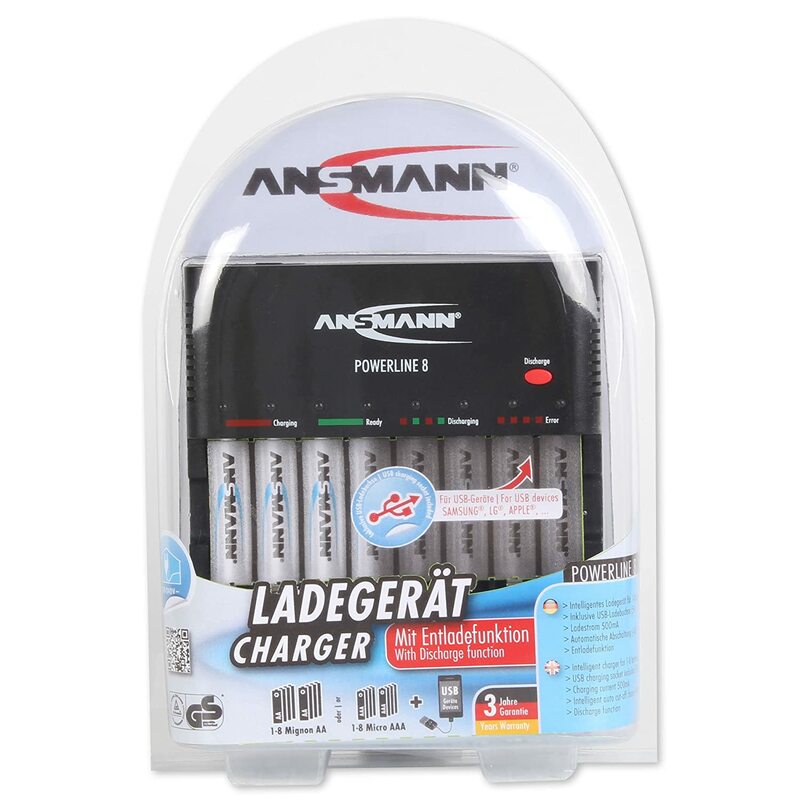 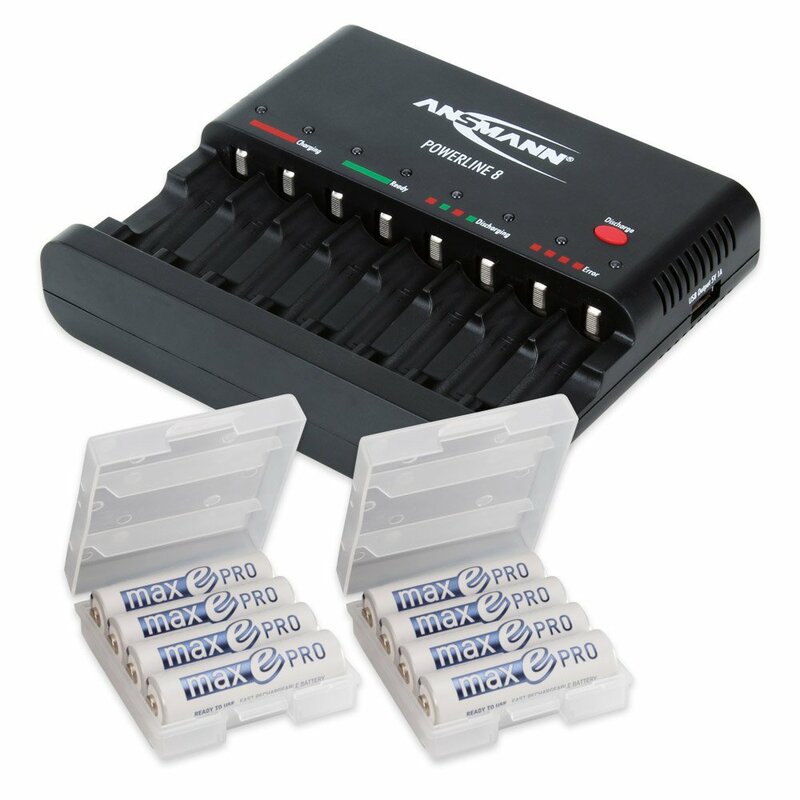 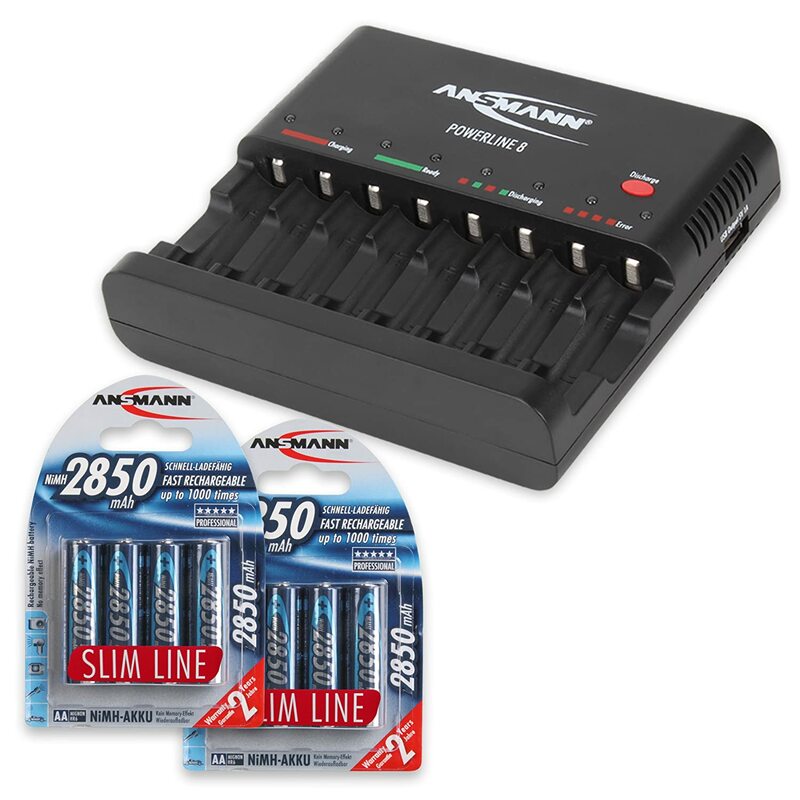 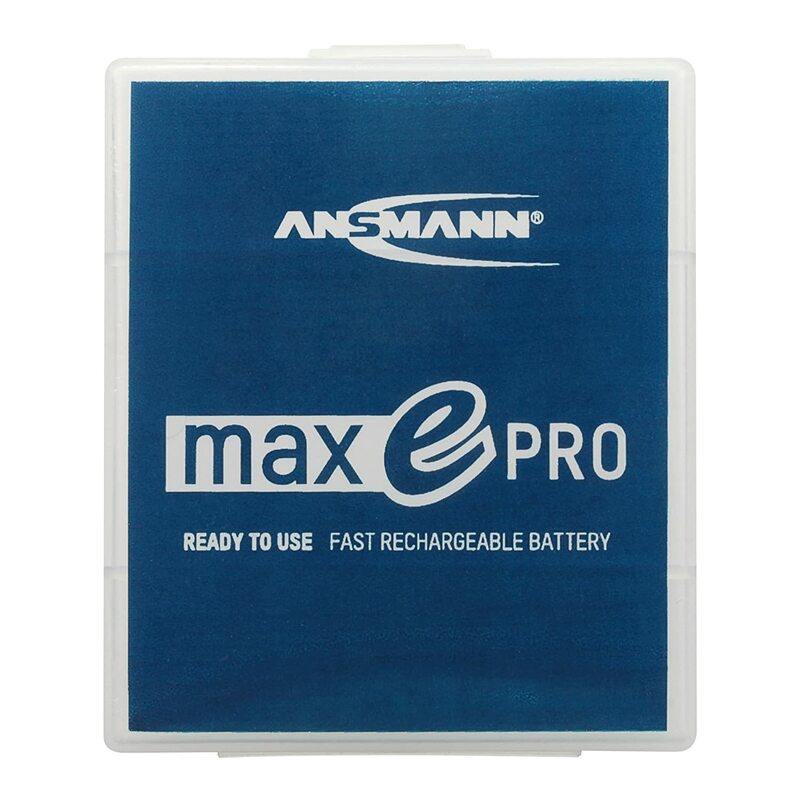 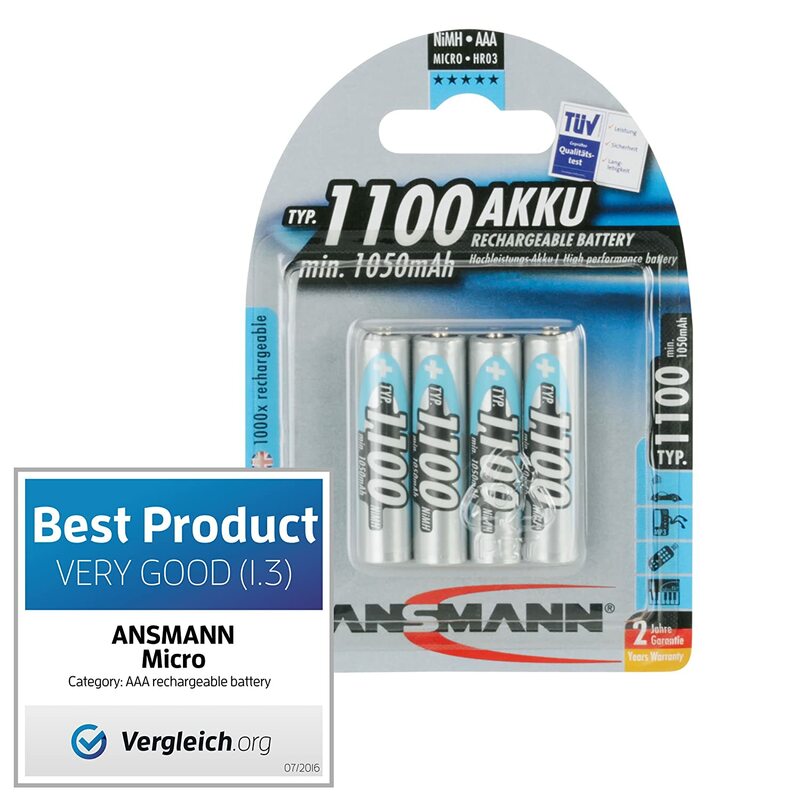 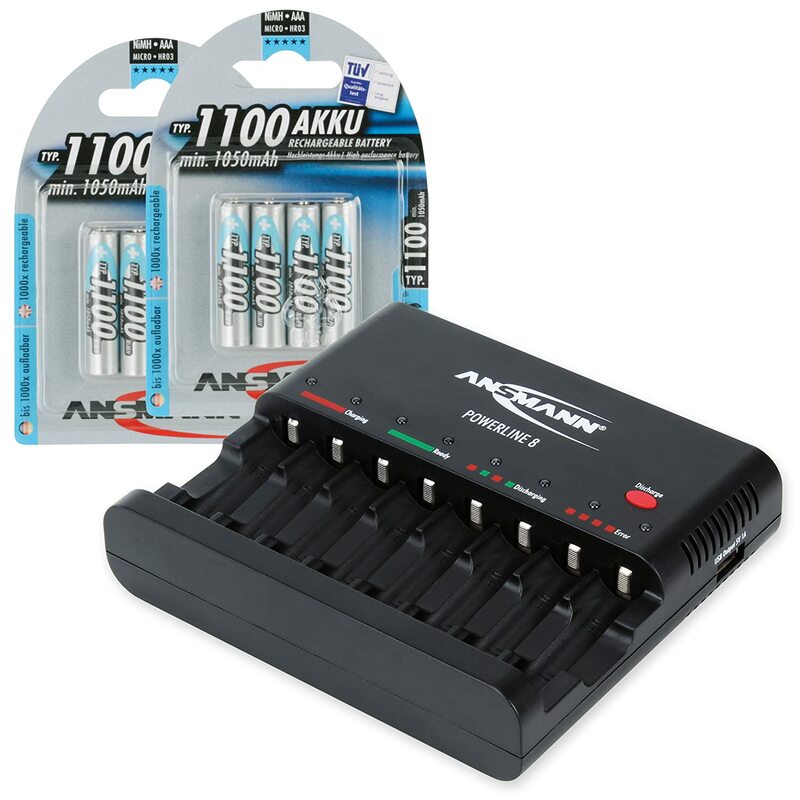 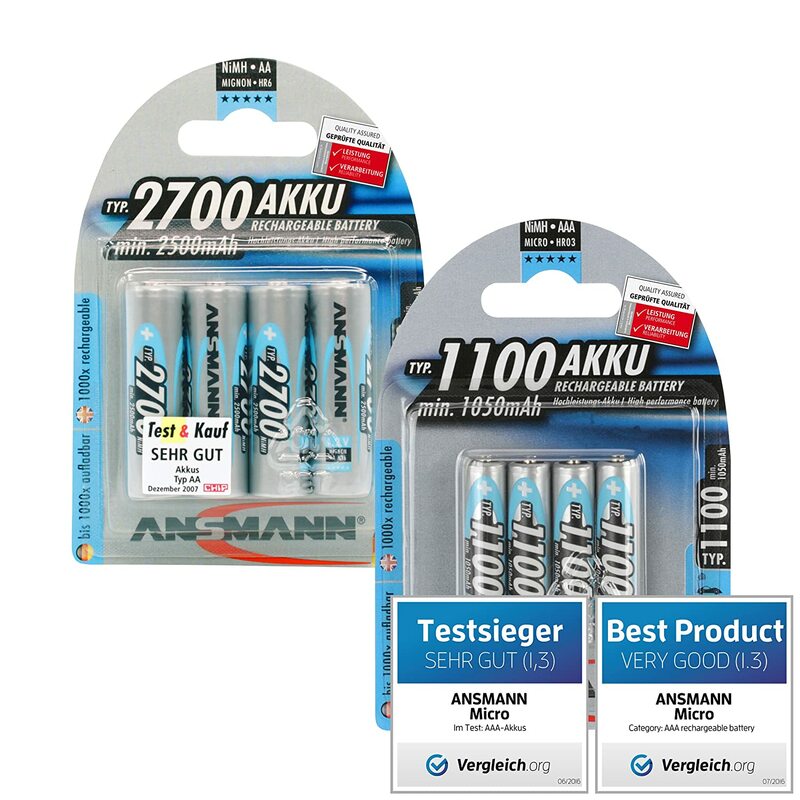 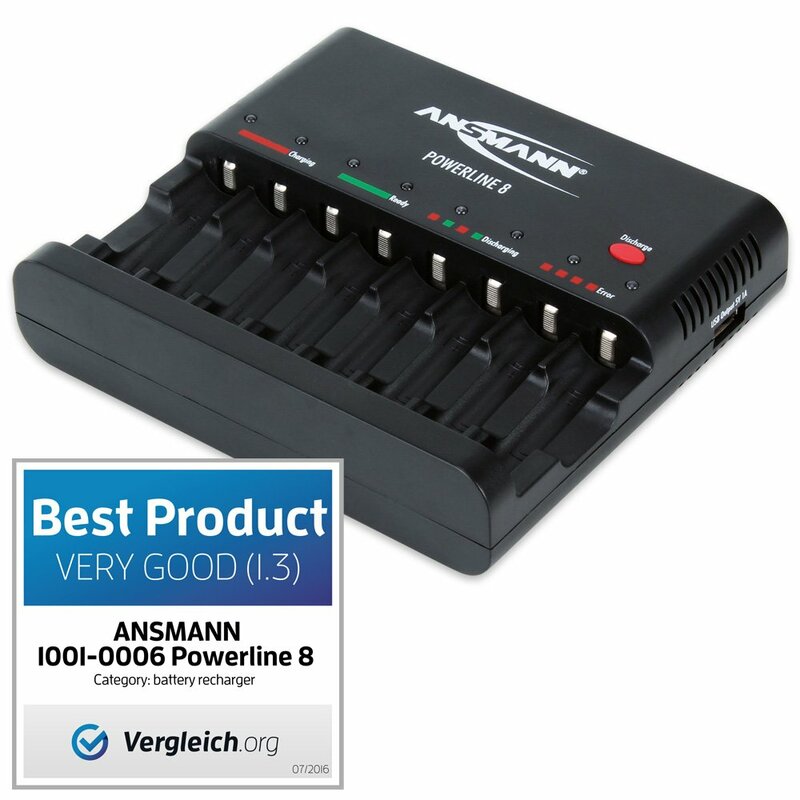 I've purchased a second set of Ansmann batteries so I can keep things going. 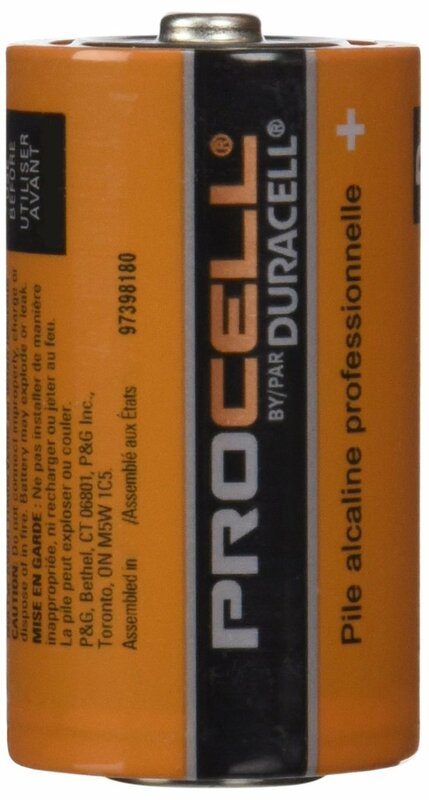 Half as good as products that are half the price. 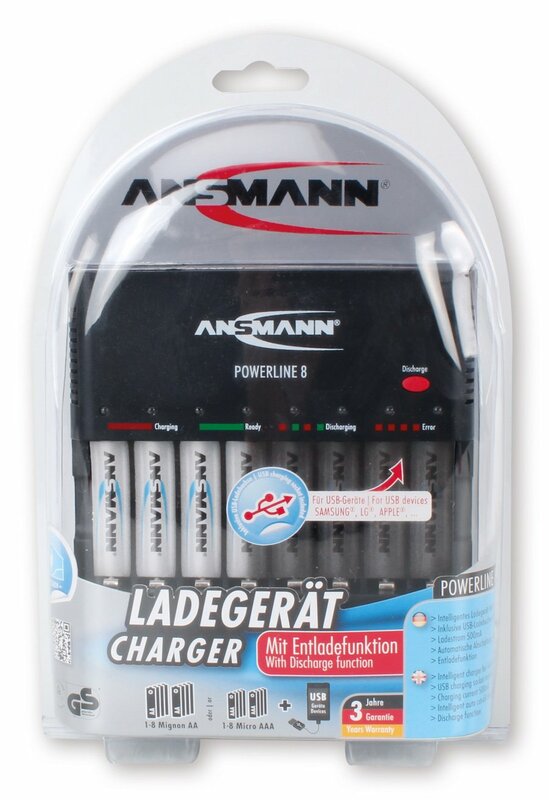 They never charge fully and rain very fast. 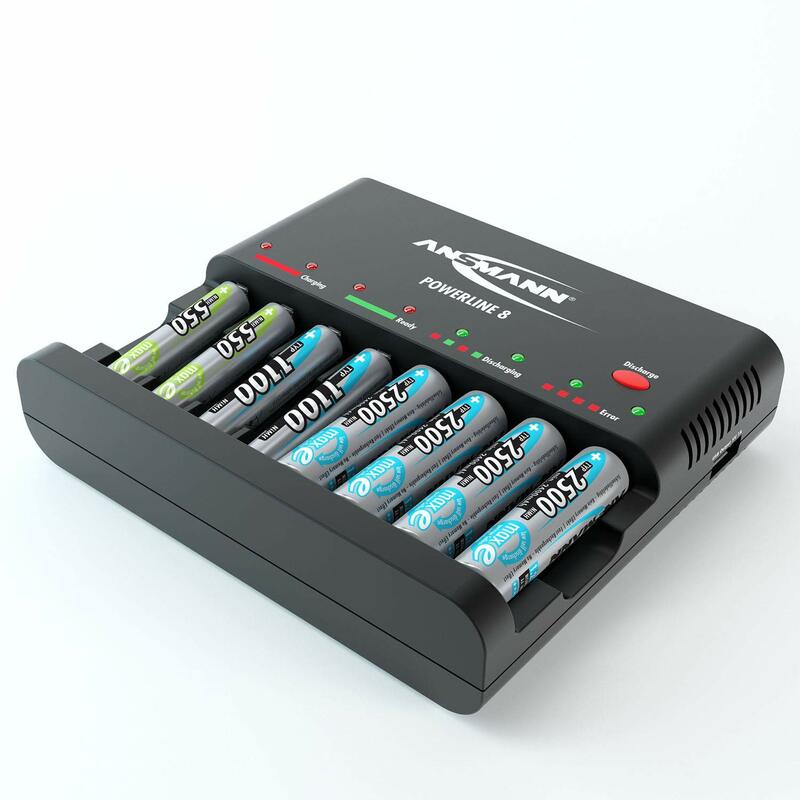 A waste of money! 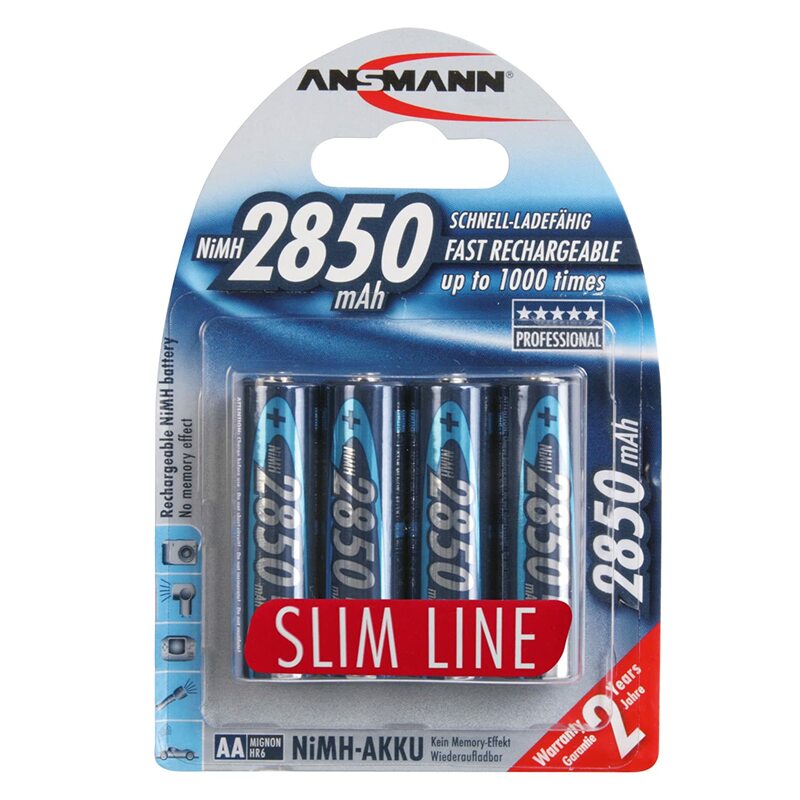 Love this unit. 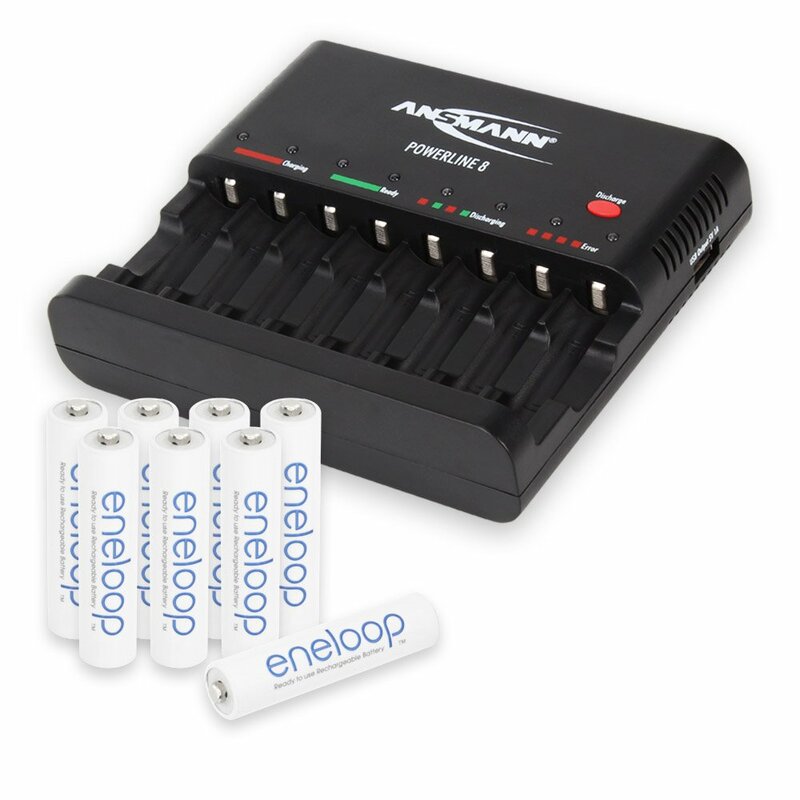 You can charge any number of batteries at any time and it keeps everything 'topped up'. 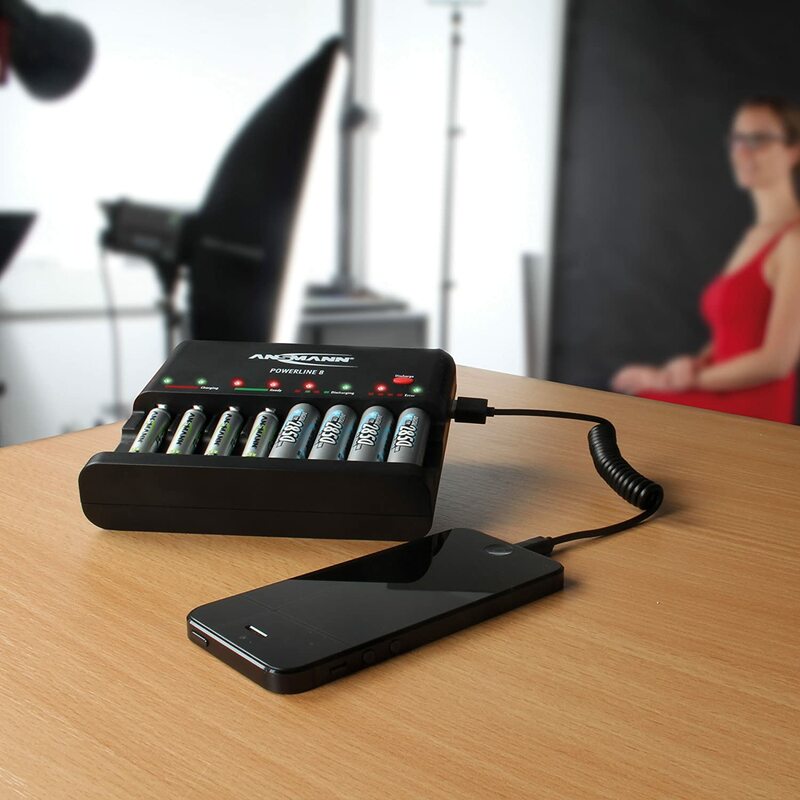 The 'discharge feature' is good for re-conditioning the batteries, should the need arise. 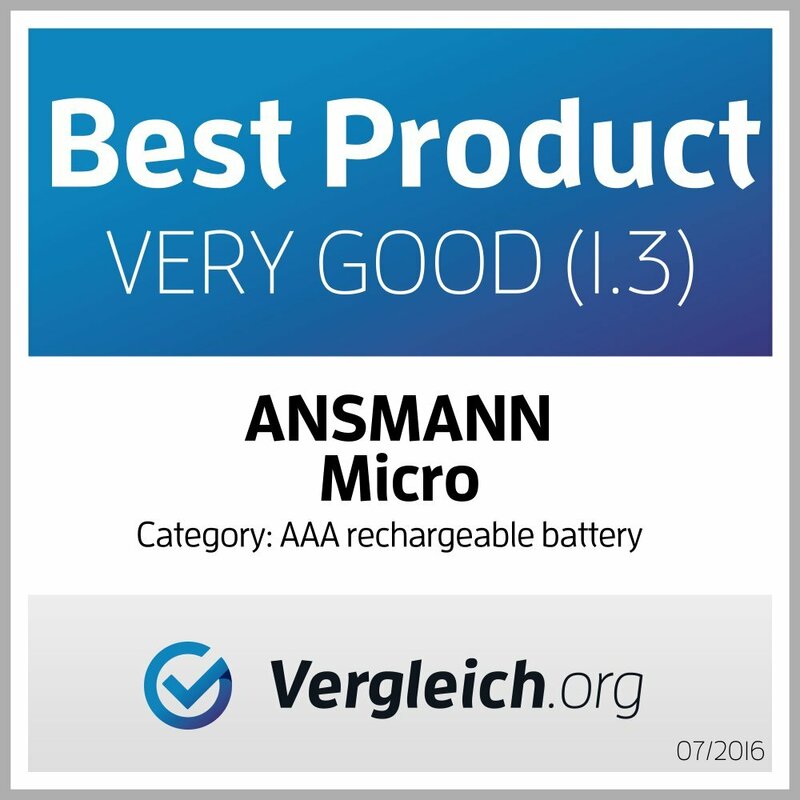 The batteries have also worked extremely well. 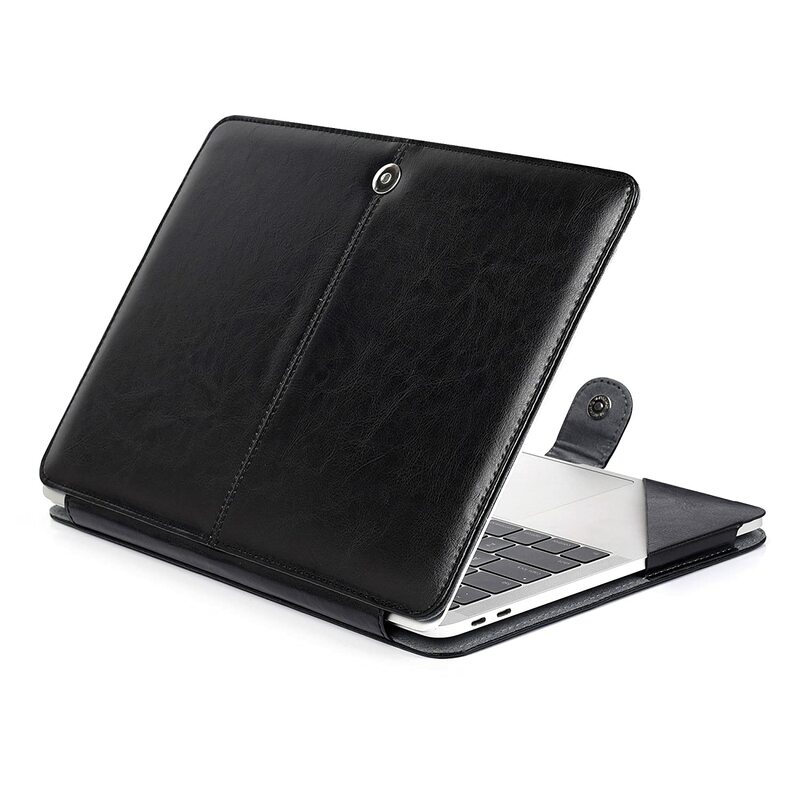 So, I love this purchase.